Fruits, Vegetables, NUTS and Seeds are good sources of PLANT STEROLS (phytosterols) that have been shown to lower cholesterol and reduce the risk of heart disease. Eat nuts alone as a snack or use them in recipes as part of a heart healthy diet. 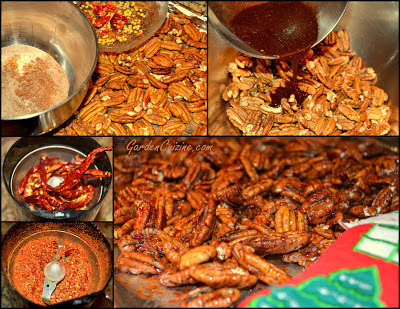 These jazzed up pecans make a nutritious addition to holiday cookie trays or atop a holiday garden salad. Preheat oven to 350 degrees F. Line a baking sheet with aluminum foil. Layer the nuts on your baking sheet and roast for 10 minutes or until fragrant and toasted. Add the wet ingredients to the dry ingredients and set aside. 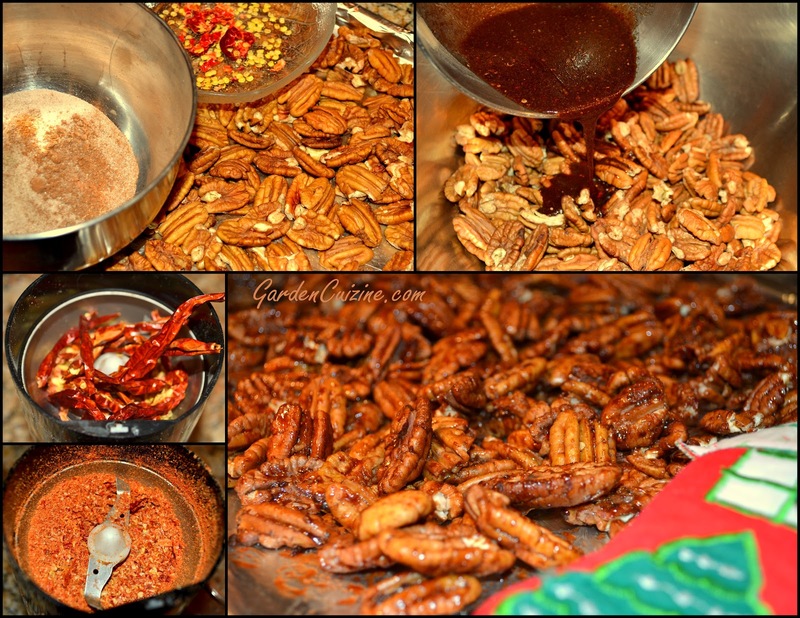 Place the toasted nuts in a large bowl and toss with the spice mixture. Return the nuts to the lined baking sheet and bake another 8-10 minutes. Allow to cool on the baking sheet. Store in air tight container. Serve atop holiday garden salads, as a snack, or in your favorite baked goods or recipes.